Just yesterday I discovered a fruit-bearing vine overhanging my apartment complex. 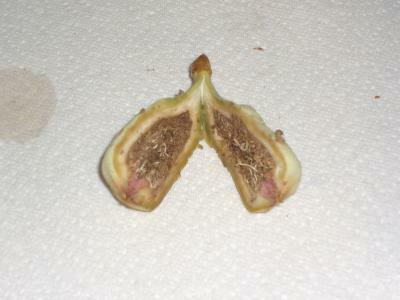 The fruits look vaguely fig-ish, but the leaves don't match that of a typical fig tree. The plant itself appears to be some kind of vine, climbing up a tall group of bushes that surround it. Any thoughts on what this particular plant is? 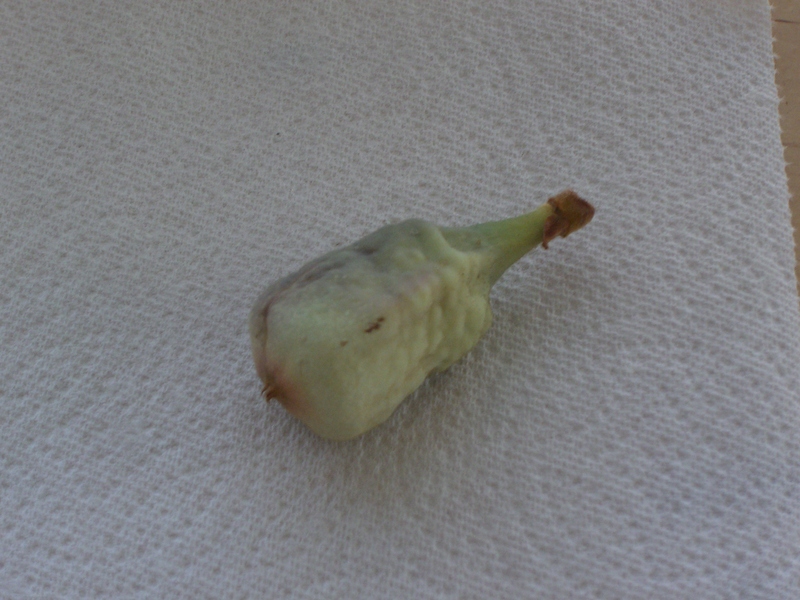 Inasmuch as I'd rather not poison myself, but I really like the idea of fresh figs, I'm eager to figure out exactly what this thing is. 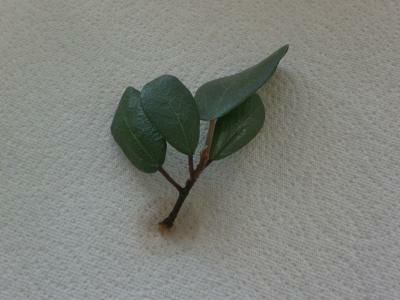 You can't quite tell from the pictures, but the leaves have smooth, round tips with no spines of any kind. Update: when I sniff the fruit, it smells vaguely like honeysuckle. But then, it could just be my nose making things up. Maybe it's a not-ripe alibertia?